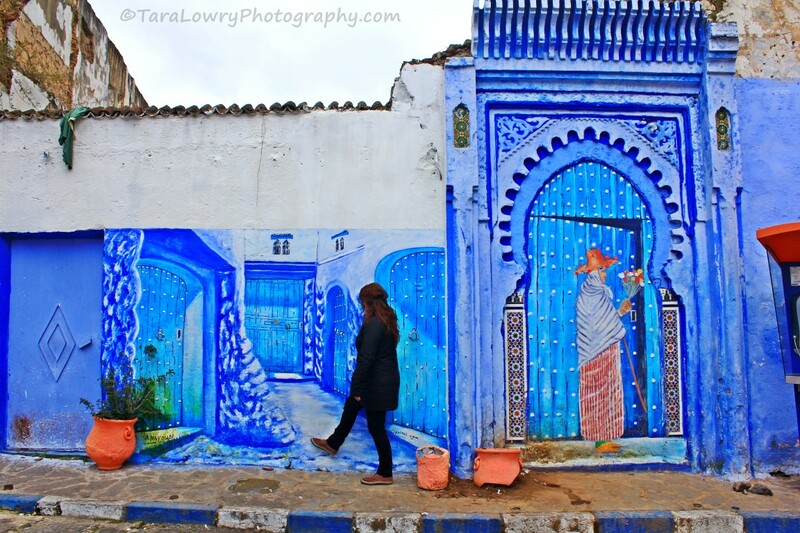 As the Moroccan saying goes: “He who hurries, rushes only to the grave.” And in the pretty blue town of Chefchaouen -or Chaouen to locals- in Northwest Morocco, hurrying is hard to do. I spent at least 7 hours just wandering around looking at doors. Despite having been here multiple times, I am still utterly delighted by what a special place it is; like a painting that you can walk around in. 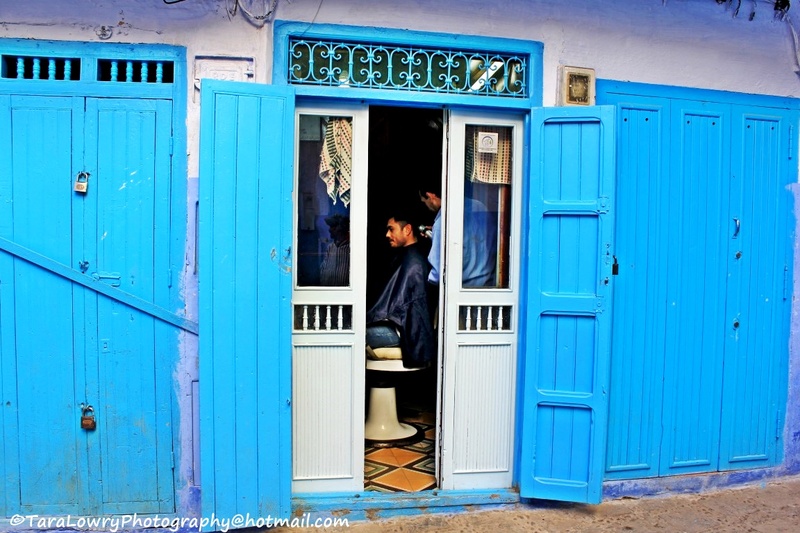 Word on the street, (from a wonderfully eccentric old man named Mfedal who took us to a barber shop-he figured that my husband was looking a bit shaggy), is that the walls and buildings are painted blue to trick the mosquitos. The idea is that they will think that the blue areas are fresh running water, which repels them. Whether this is true or not I cannot verify, although I did not get bitten by any mosquitos while I was there. Others say that the celestial tones simply keep things cool in the summer. 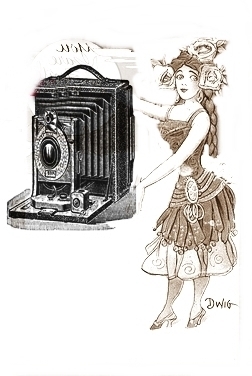 In reality, the idea of blue-rinsing was introduced by a population of Jewish refugees who settled in the medina generations ago. 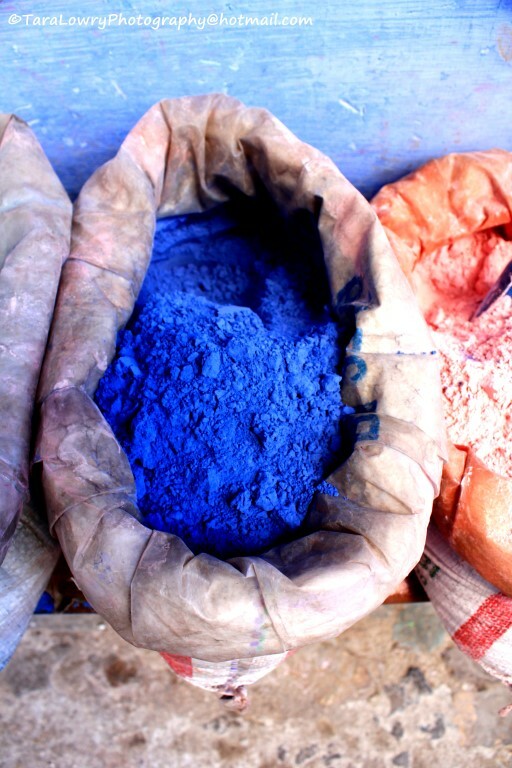 Symbolizing divinity, blue is an important colour in the Jewish faith. Hidden in the craggy shell of the Rif mountains, ‘The Blue Pearl’ is a popular retreat for wanderers looking for just that. It’s a wonderful spot to lose (and find) yourself; explore the winding streets, and let the peaceful influence of the powder blue buildings and old-school human interaction bring you back to a happy rhythm. 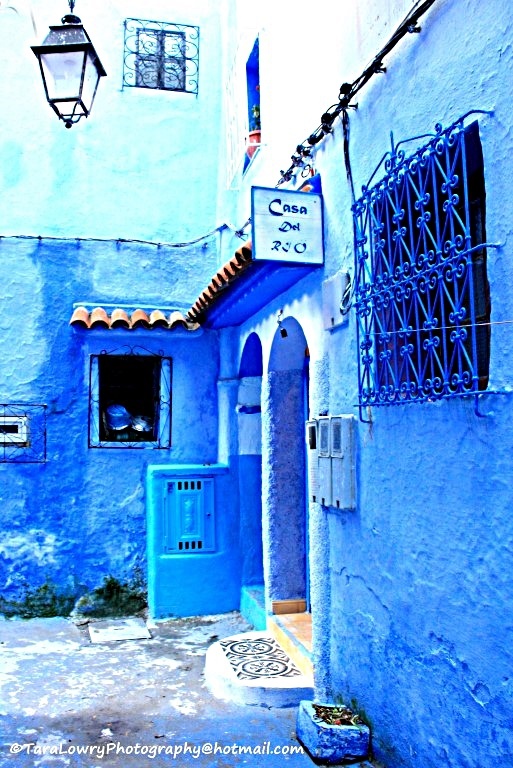 The name of the town comes from the shape of the mountains that surround Chefchaouen; resembling goat horns or ‘Ichawen’, in the Berber language. 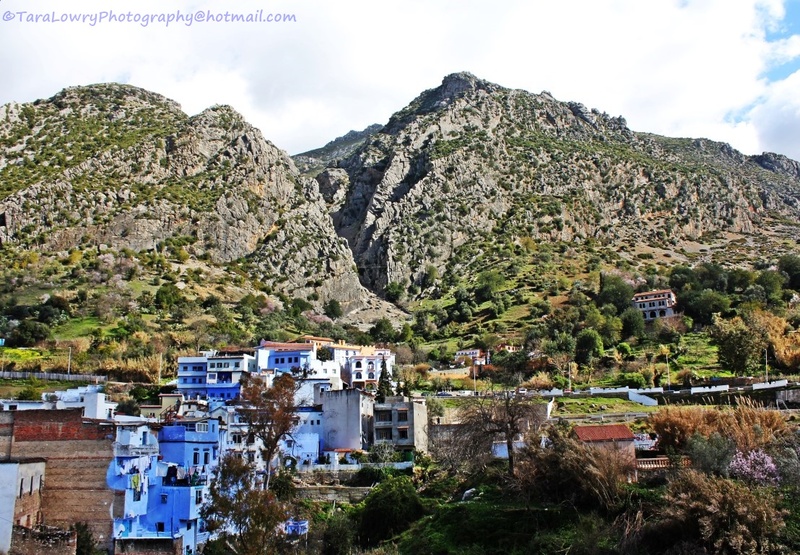 The literal meaning of Chefchaouen is ‘look at the horns’. The low season (December to March) is a particularly good time to go if you are looking for tranquility and lower prices (but colder nights). It is a great entry or exit point to Morocco, either easing you into things or winding you down after visiting more hectic places like Marrakesh, Fes, or somewhat seedy Tangier. Where to Stay: There around 200 accommodation options for all budgets. We stayed at Dar Dalia and Casa del Rio and were happy with both. They were both cozy and clean, and around 270 Dirham ($35 Canadian or 25 euros ish) a night for a private double in low season (with breakfast and in-room wifi). Getting there: Chefchaouen is a 4 hour bus ride from Fes. If you are coming from Spain, you can reach it from Tangier or Ceuta, after crossing from either Tarifa (to Tangier) or Algeciras (Tangier Med or Ceuta). There are several ferry companies to choose from and range in price from 20 to 35 euros one way. From Tangier, the bus (CTM) is just under 3 hours and costs 45 Dirham (under $6 Canadian or 4 euros). 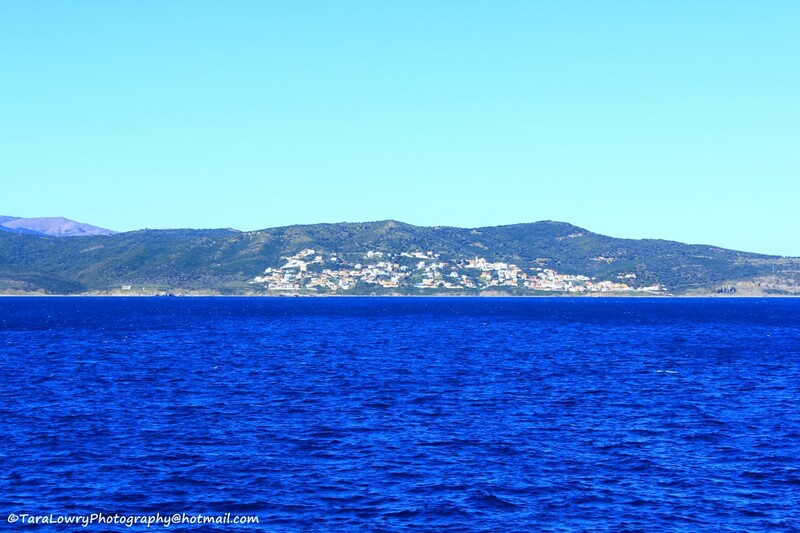 Speaking of blue…this is the view coming over from Spain on the ferry. If you are like us, you can also think you are taking a short cut and take 3 collective taxis (grand taxis) from the Tangier Med (the port), taking 7 hours instead of 3. 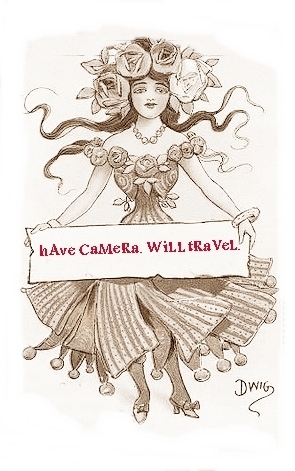 It is much more inconvenient, a little on the terrifying side (if you dislike being at the mercy of taxi drivers who do not heed the ‘those who hurry, only rush to the grave’ philosophy), and you will be pressed up against other passengers to the point of feeling like you should buy them dinner. The choice is yours. Have you been here? What were your impressions? Did you hear any other theories on why all the blue? Are there any other towns that you know about that are predominantly one colour like this? 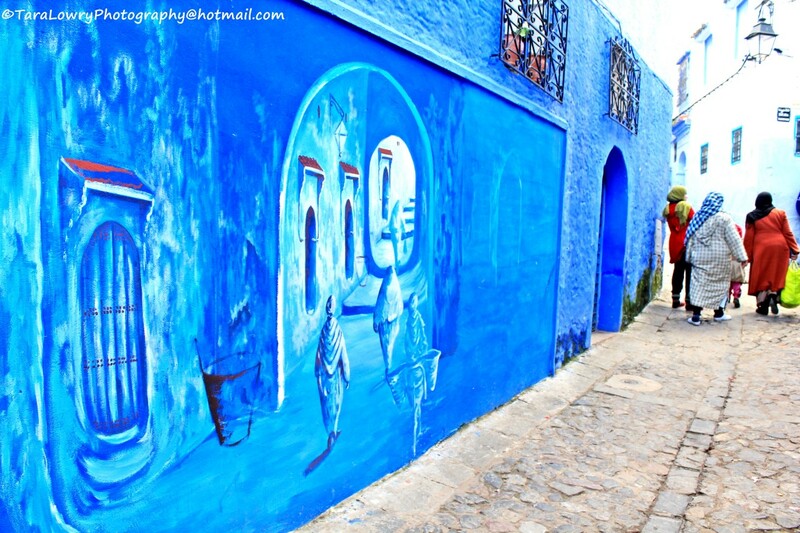 Chefchaouen is such a beautiful little town. I stayed there for an extra week on top of the original 3 days I planned! It’s really interesting that the blue came from Jewish refugees- I had no idea. any source that verifies that it’s from jewish refugees? Have a look HERE under THE MEDINA.